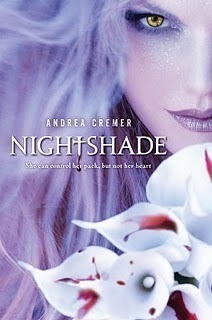 I haven’t had a change to review Nightshade yet (I’ll probably wait until closer to its release in October), but I read and really enjoyed it! I ended up with an extra ARC, so just fill out this form to enter to win a copy! I’ll announce the winner September 26th. Good luck! You don’t have to be a follower, but you’ll get some extra points if you are…and also if you help me spread the word. And sorry guys, but I have to limit this one to US only! Count me in if this is international. Ohhhh! Thanks for the giveaway! SOOOOOO want this book! – Thanks for hosting! I see this cover popping up everywhere. It's got me completely intrigued! I am so excited for this book! Thank you for the giveaway! Great contest! I've been wanting to read this one. This sounds like such a neat book. Thanks for the great giveaway! OMG! Another chance!! I've been entering contest after contest trying to win this book and have had zero luck so far! Thank you for another chance!! !